Lisa Bickerstaffe in Causes on 16 October, 2015. The British Skin Foundation raises money to fund skin disease research. Are you one of the eight million people in the UK living with a skin disease? This can be anything from eczema or acne to something life threatening like melanoma, a deadly form of skin cancer. The British Skin Foundation raises money to fund vital skin disease research, helping to find answers and cures to benefit those who suffer. That is why we need your help! Grab your friends, don a costume, take on a challenge or give something up this term and see if you can raise some money towards our essential work. As the only UK charity solely dedicated to skin disease research, we have a lot of ground to cover. The British Skin Foundation is approaching our 20th birthday next year and since 1996, we have funded over 300 research projects and awarded around £10 million in funding across all skin diseases. We believe that research is the key into understanding how many of the skin diseases function and spread, as well as how this will ultimately affect the management of them. Our unwavering commitment to funding high quality research means we won’t stop until we’ve found cures for common skin problems like psoriasis and acne, through to potential killers like malignant melanoma. None of our work would be possible without the help of people like you – our supporters – people who dedicate time and effort to fundraise for us. Seven people die a day from skin cancer in the UK. Here are seven ways you can raise money for skin disease research, including skin cancer. 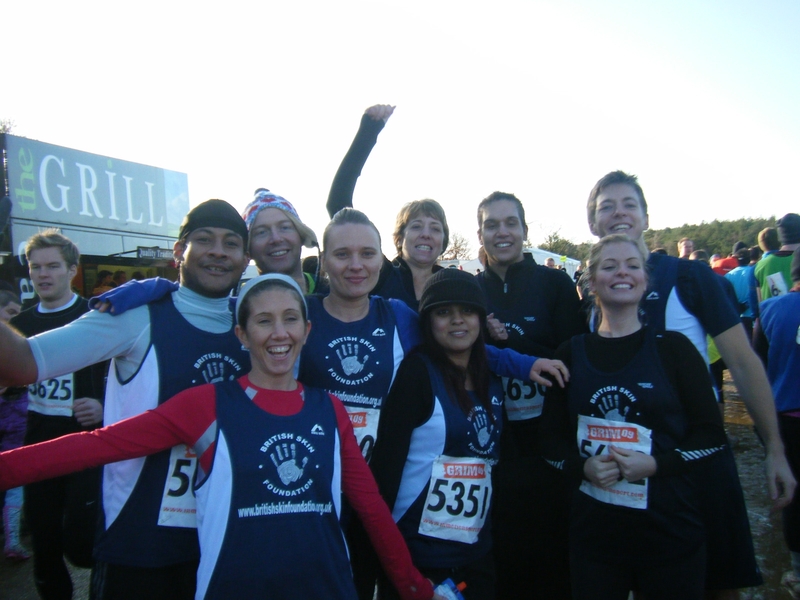 Team BSF have a great time raising money for British Skin Foundation! Host a gig, open mic night or battle of the bands at your student union or favourite local bar. This is a great way to get together with friends, enjoy some music and raise some cash. The best way to collect money in this situation is to charge on the door and have collection buckets throughout the venue. Test your negotiating skills and see if you can even get a percentage of the bar sales towards your fundraising total. For those who want to take a simpler approach you can use your hair as a fundraising tool! Cut, wax, shave or dye you hair, making sure you ask your friends to sponsor you handsomely for your troubles. Use your head hair for crazy colours or dramatic cuts. Leg or chest waxes can work really well for male sports teams too! Everybody loves a theme night; uni is the best place for this! You’re likely to be joining in with fancy dress nights anyway throughout your uni years, so it’s fairly easy to add a fundraising element. If you’re hosting the party then charge for entry. For those who love to create cocktails, canapés or cakes – you can charge for these too! If you’re hosting in a local bar, be cheeky and see if they’ll throw in some freebies for you to raffle off. Perhaps a meal for two or some jugs of beer – it’s surprising what you can get if you just ask! Grab your apron and go all Great British Bake Off or Come Dine With Me! Food and flatmates is a great combo; start a competition with a group of friends. Have a ‘pay to enter’ fee and get ready to wow with your culinary creations. If there are a lot of people who want to get involved, you can have different heats, semi-finals and grand finals! Plus you’ll have lots of tasty things to eat on a regular basis – it’s a win-win situation! A classic pub quiz is another idea that is a perfect ‘pay to enter’ event for your student union bar. Again, bar staff can probably be persuaded to provide beer or cider for prizes and you can brush up on your general knowledge at the same time. For the sporty types, arrange a friendly ‘pay to enter’ tournament of your chosen sport. You can really grow this idea by involving other universities and charging spectators a small fee to come and cheer you on! Boost donations on the day with collection buckets carried by your team mascot! 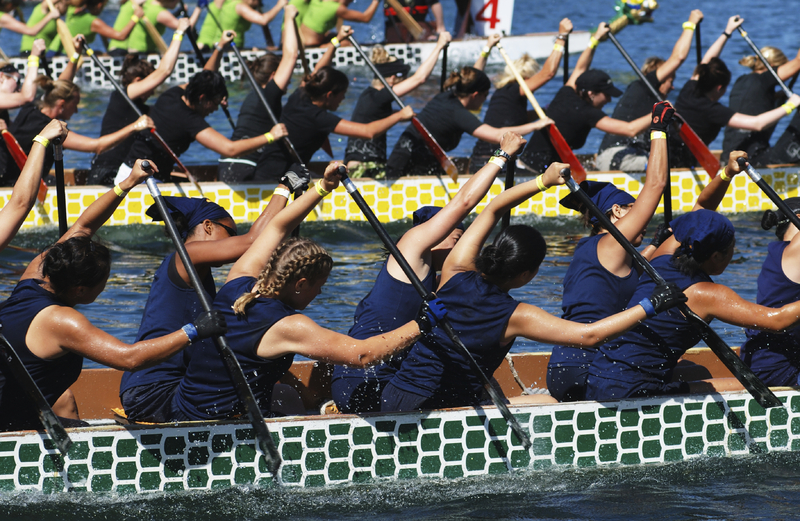 The British Skin Foundation’s Dragon Boat race was a sporty way to support a great cause. If the ideas so far have sounded like too much hard work, we’ve saved the easiest until last. Give something up! Ditch your favourite vice for a whole month! Think alcohol, smoking, junk food or computer games. Have the naysayers sponsor you and reap the rewards in the name of skin disease research! It’s worth remembering to ask your family and friends at home as well as your uni friends and lecturers for a donation. You can also potentially improve your health, wellbeing and spend less money on your vice whilst you take the challenge. Got a question about an event or want a fundraising pack?